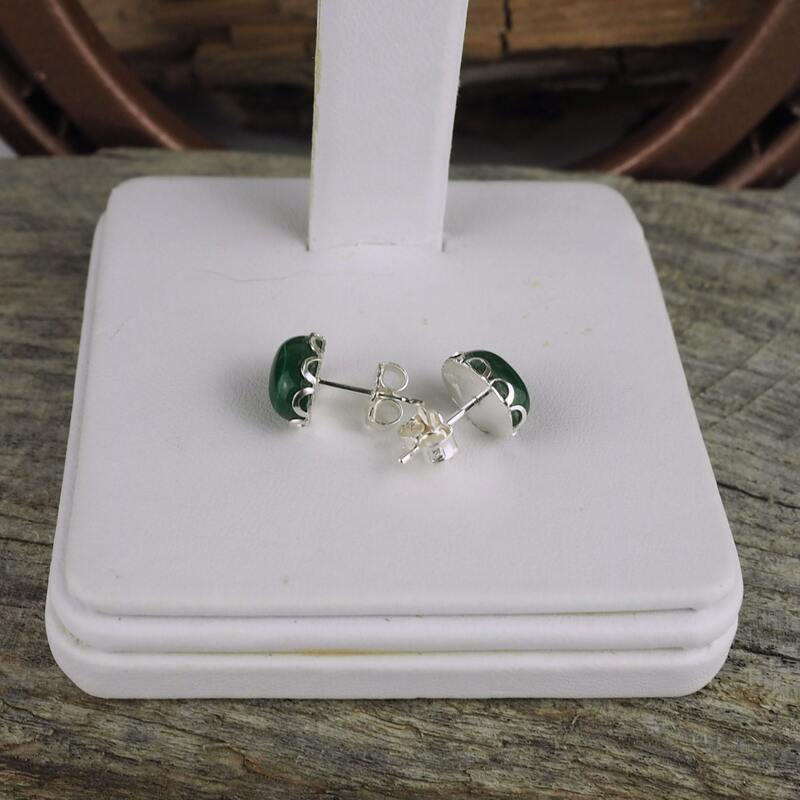 Silver Earrings - Green Malachite - Malachite Earrings - Stud Earrings -Boho: These gorgeous, sterling silver post earrings feature two natural green Malachite stones. 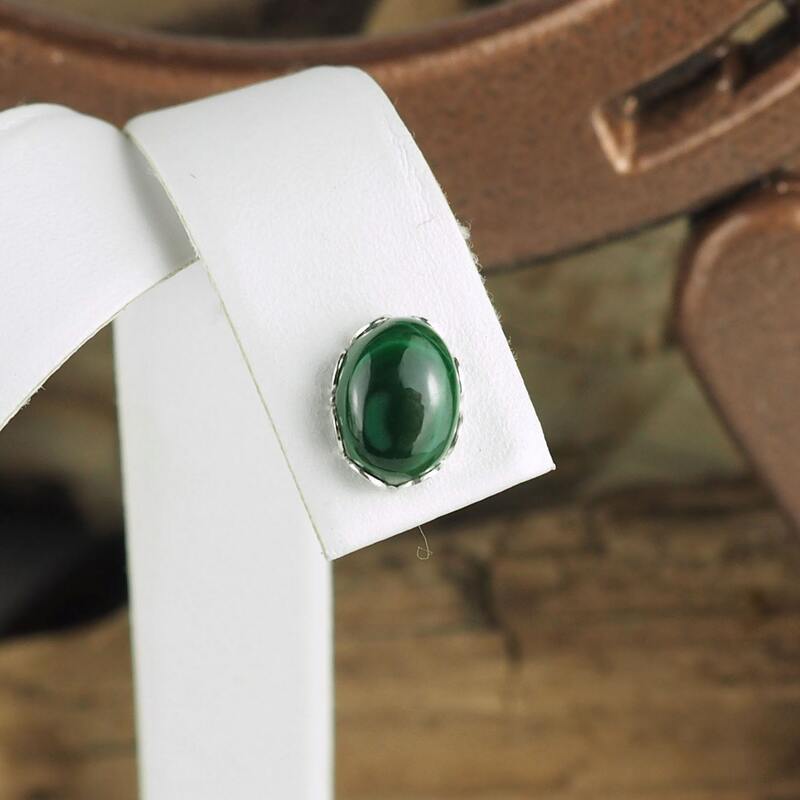 The Malachite cabochon are 6mm x 8mm. 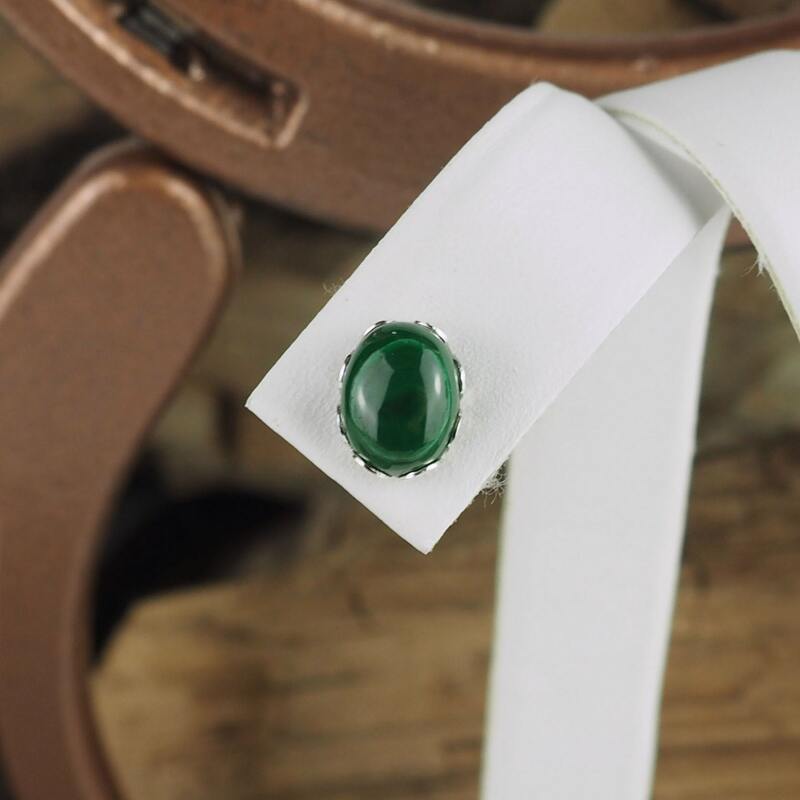 The stones were shaped and polished by hand in our workshop in Montana and we love them! 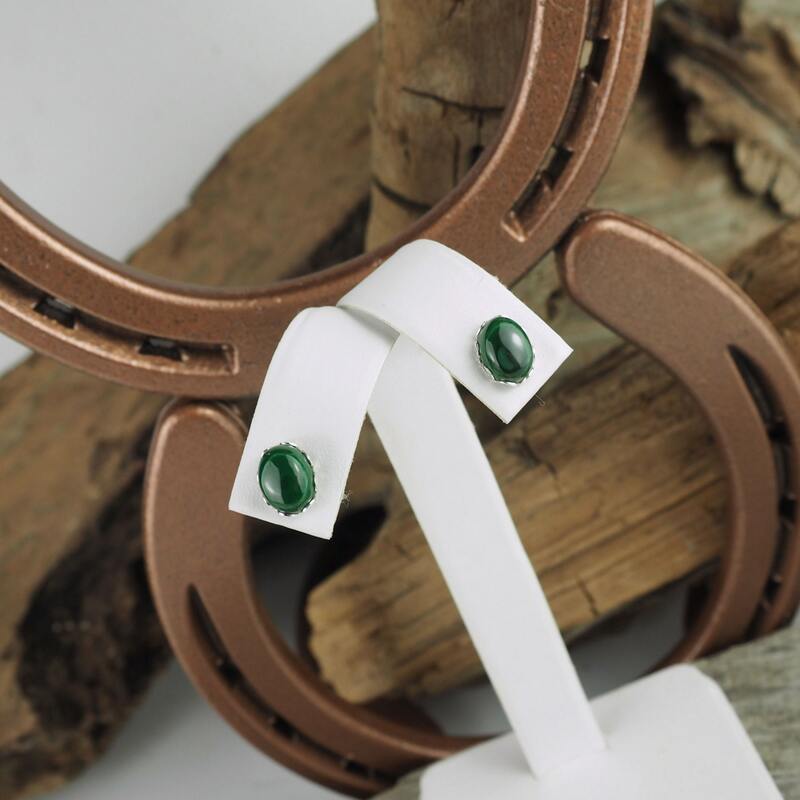 These earrings would really make a great pair with one of our matching pendants so don't forget to check them out! 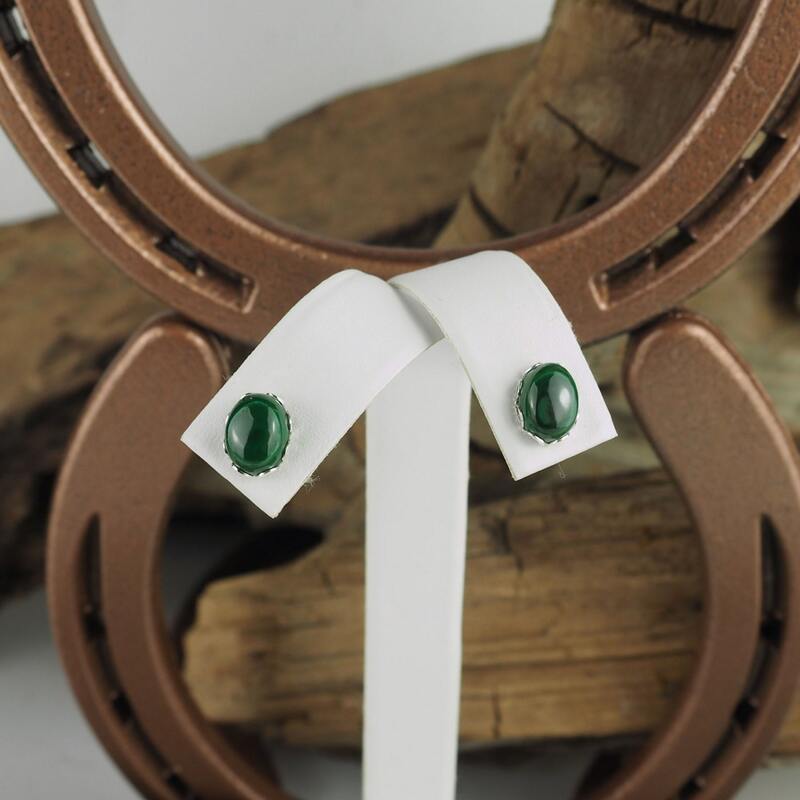 We will also ship your purchase in a beautiful gift box for no extra charge!